If you were to take a casual walk around the commercial hubs of Adelaide, you would find a host of restaurants and eateries in the vicinity. These establishments need to provide clean and hygienic food to their customers. The regulatory authorities usually permit them to operate based on the cleanliness of their facility and the wholesomeness of their fare. But many commercial kitchens find it hard to keep their facilities clean. After all, they are in the business of providing hospitality and good food. They are not well versed in the nuances of wastewater treatment. What Is Liquid Waste Disposal? Liquid waste is any form of liquid residue that is hazardous for people or the environment. It can be bulky or sludgy, or even purely liquid, such as with laboratories’ waste. Usually, this waste form comes from restaurants, cars, homes, any facility that includes washing machines or laboratories, or industrial buildings that utilize tank-clearing operations. 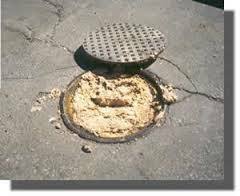 Here, it’s found in grease traps, septic tanks, surfactants, wash-waters, prescribed waste, oily water or the more typical medical or clinical wastes, solvents, paint, resins, inks and dyes, photographic waste, pesticides, and laboratory and chemical wastes.